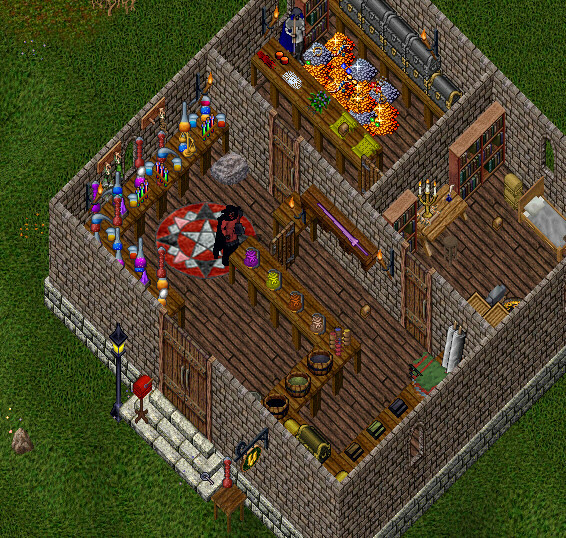 The PaxLair Alchemy Shop is one of many blessed buildings in the player ran town of PaxLair. 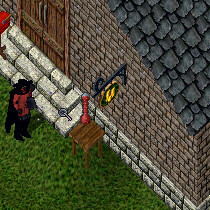 The interior of the building is presented in a shop/counter layout including tables stacked with dozens of pieces of glassware and alchemy devices. Presently, the shop is not selling any potions but maintains the alchemist theme and appears to be used secondly for storage.